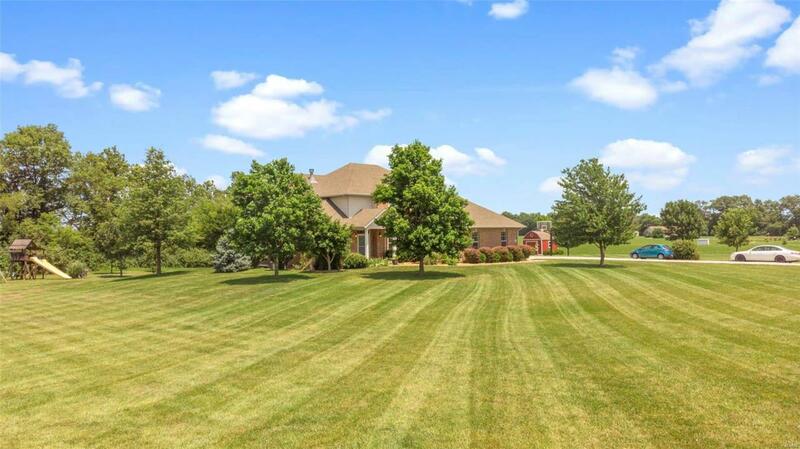 Gorgeous 5 bedroom Waterloo home nestled on 5 acres offering scenic views in every direction. 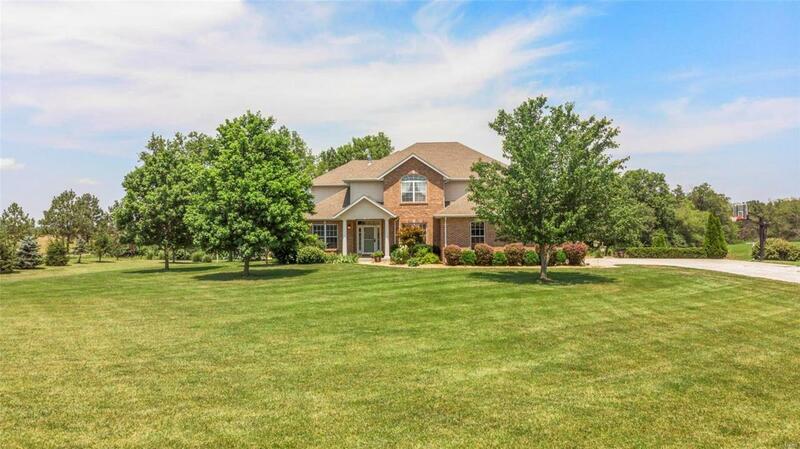 As you approach the home note the beautiful brick front, mature shade trees & extensive professional landscaping. Step inside to find the formal dining room on your right & french doors leading to the office w/ built in cabinets on your left. Proceed to the living room to soaring 10' ceilings & wood burning fireplace. The kitchen features center island, maple cabinets & breakfast nook w/ sliding doors leading to the deck overlooking the back yard. The family room features beautiful hardwood floors and stone fireplace. Also on the main level find the mud room, laundry room, & 1/2 bath. 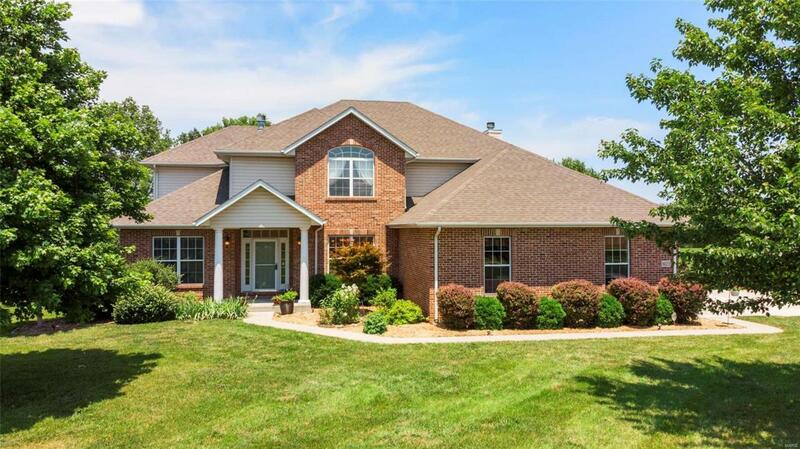 Step upstairs to the spacious master bedroom suite to find wood floors & attached master bath w/ dual vanity, jacuzzi tub, separate shower, & large walk in closet. Also on the upper level find bedrooms 2-4 & 2 full bathrooms. 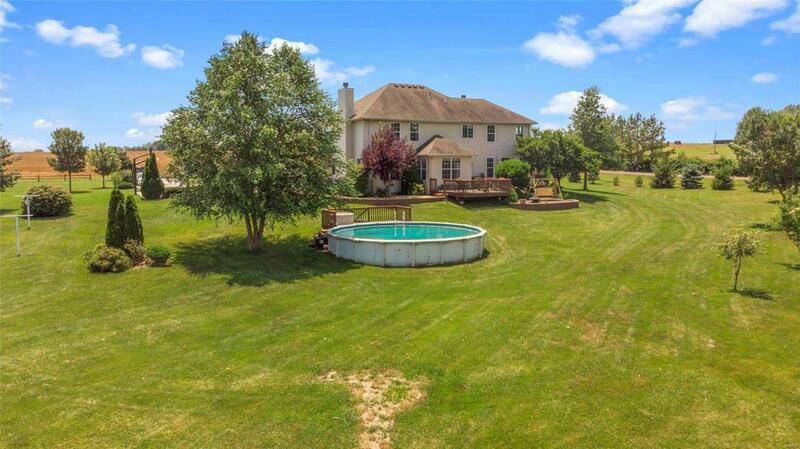 The lower level boasts an exercise room, family room, game room, bonus room & 3/4 bath.